Leaving compressed air hoses on the floor significantly shortens the hose life and subsequently diminishes the quality of your paint job. Using a hose trolley for spray booths eliminates hazards and increases the lifetime of the air hose. 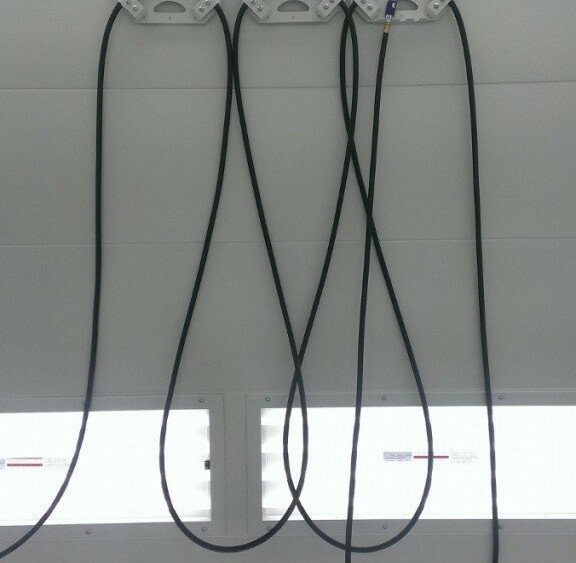 The air hose is subjected to variant temperatures derived from laying on a cold floor and being exposed to the bake cycle. This variance causes the hose to degrade and eventually break down the inner core. 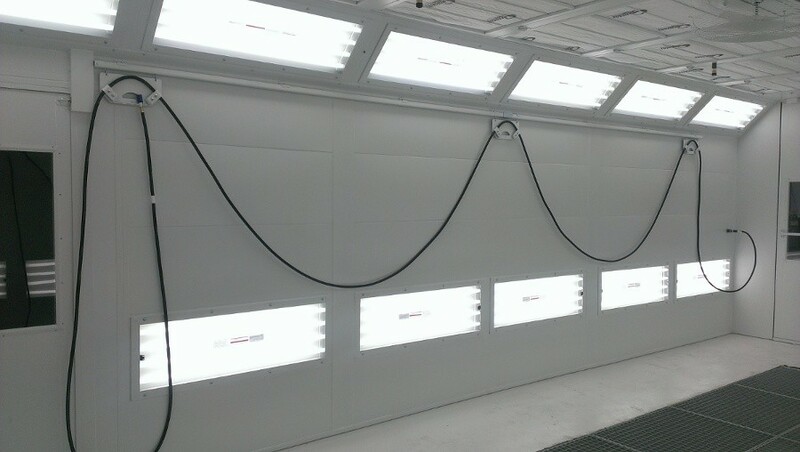 Turning the spray gun on and off loosens the deteriorated rubber, forcing minimized particulates down the line and onto your paint job. Hose Trolley suspends your hose, allowing a more even temperature exposure. 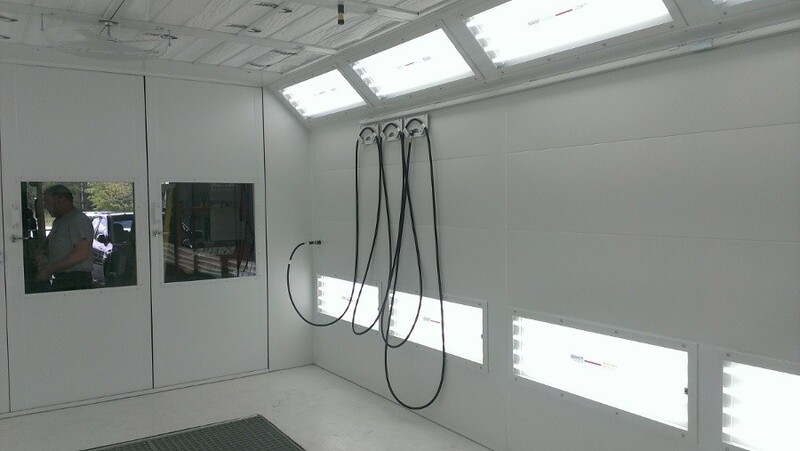 With two trolley set-ups, one on each side of the booth and each equipped with a 50 ft. hose, the painter can easily get half way around the car without draping hoses over the floor. 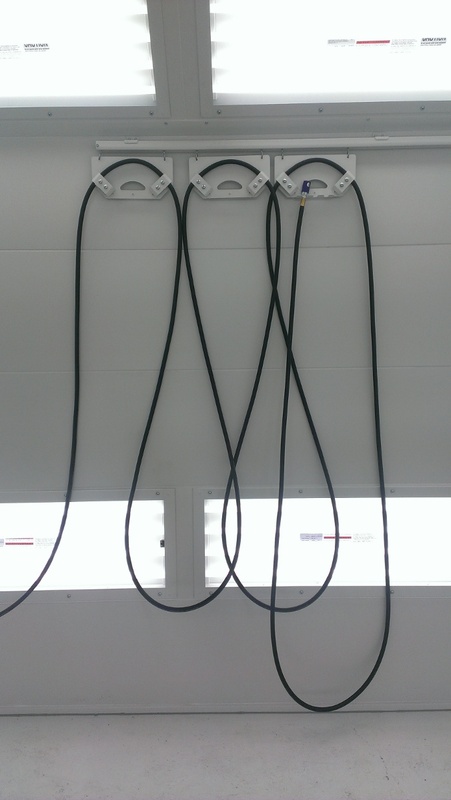 The Hose Trolley design also creates a safer working environment. By eliminating the possibility of hoses being left on the floor, trip hazards are automatically reduced.